Diamine Twilight ink review – Pens! Paper! Pencils! 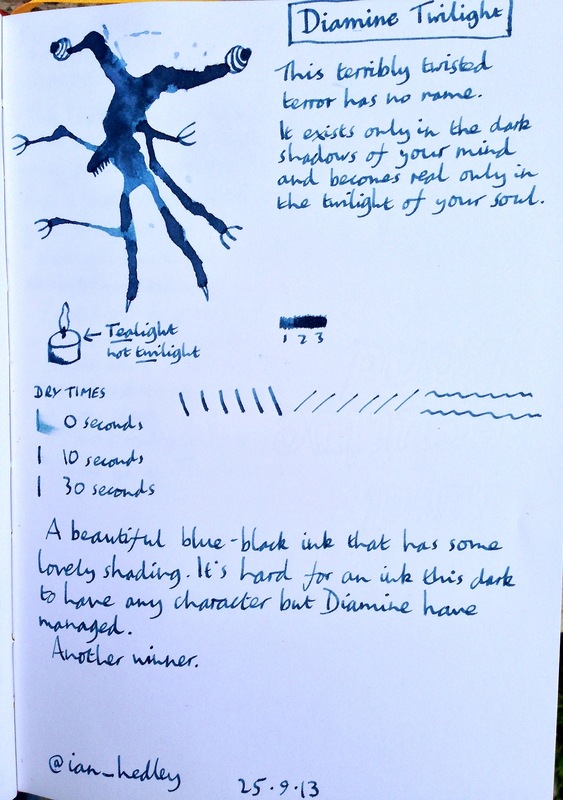 I think it’s hard to instil much character in a dark blue-black ink but Diamine have managed it with Twilight. It’s a beautiful colour with lots of shading. Lamy pur 47, 1.1mm italic nib, Monsieur notebook, terrible handwriting.